Made from a wrist watch and radioactive spider juice, Peter Parker ‘responsibly’ figures out how to make a web shooter. 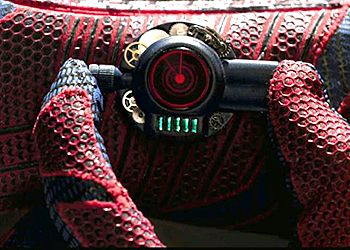 Mechanized web-shooters have returned in the new Amazing Spider-Man movie, and tells us fans, without saying it directly multiple times, that “with great power comes great responsibility.” Uncle Ben, as seen in his very in-depth Wikipedia article, is usually the character that this line is attributed to. But this proverb struck a chord again with me as we lead into the July 4th national holiday and the end of my first day at my new job.